Don’t let the adorable Olaf print deceive you; Burton has created a seriously sturdy, smartly designed backpack for kids that carries more than your average preschool backpack, and the price is fantastic. For a totally different style with the same smart features, this print is aptly called Yeah! Which is what your kid might say when you ask if they want this one. Emoji. Backpacks. What else is there to say? Thanks so much to our sponsor Flipp, the money-saving circular shopping app. Download it today free for Android and iOS and start saving! 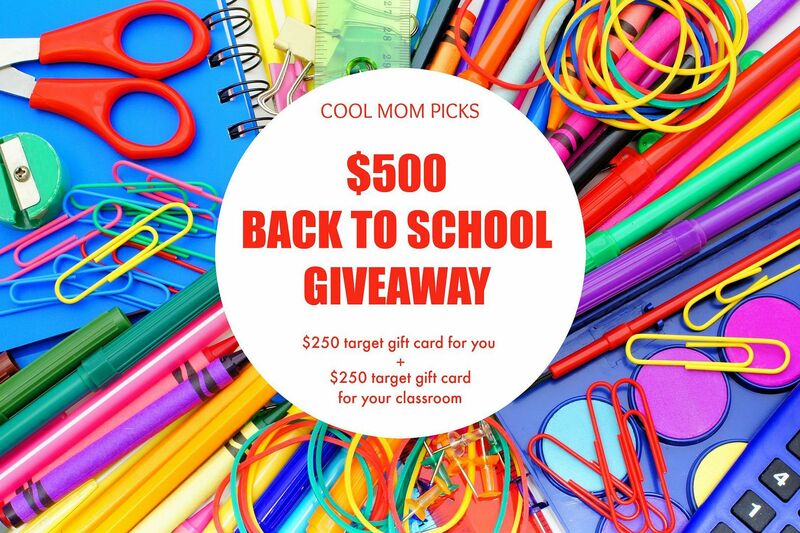 Just because we love you — and we love teachers, too — we’re giving away TWO $250 Target gift cards to one lucky CMP reader, one for you and one we’ll send right to your classroom. To enter, just leave a comment here by midnight ET, Monday Sept 7 and tell us your favorite pick on this back to school guide post and why We’ll draw one winner at random from all our posts. There are lots of chances to win! 4. 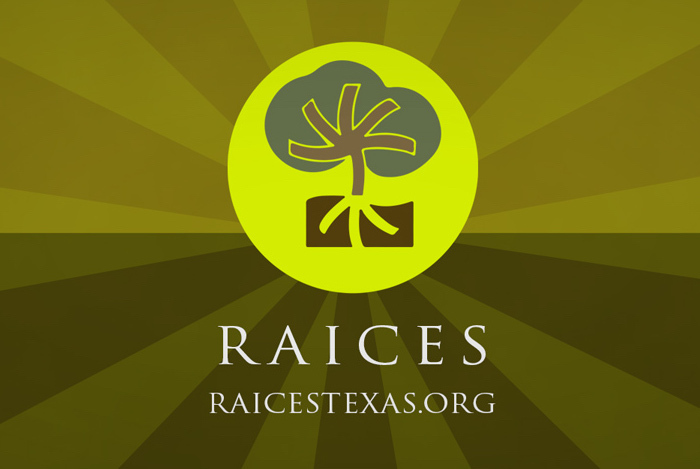 Like us on Facebook and share a link to this post on your own Facebook page. Then leave the link to your Facebook update in the comments below. 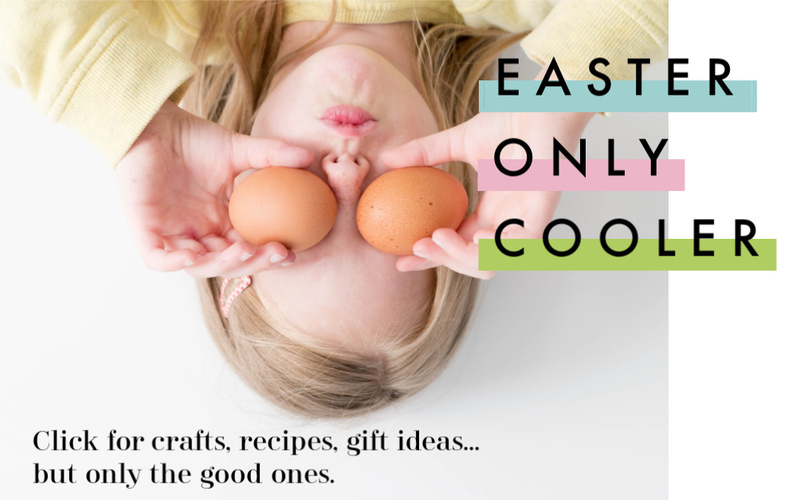 So basically, you can do any, some or all of these things on each of 5 Back to School gift guide posts giving you oh…like a ton of entries.See our official rules for general giveaway details, void where prohibited, US only please, 18+. Good luck! love the emoji backpacks. They’re so much fun. My pick is definitely Skip*Hop animal zoo packs because we were given a lunch bag by them and I absolutely love how well made it is! It’s has stood the test of time and the rigors of being used by my little people! So many cute and practical ones. Ice cream backpack caught me eye but my favorite was the Nylon folding backpack. Practical, not to big/bulky and fits most anything. I can’t help it – as a child of the seventies I’m a total sucker for wonder woman! Love the ice cream backpack, but the Milkdot is adorable. Perfect size and price. Love the Herschel polka dot backpack but really all the options are adorable! Love the Jansport pack – simple, holds a lot, and the lighting design is definitely easy to spot in a crowded school cloakroom. I just adore the Skip Hop zoo packs for my little ones, 4 and 1. Starting this year, my 7yo does not need to carry a clear or mesh backpack (ugh), so we went with the LLBean. The lightening backpck is really cool!! Super fast in learning ? I did a post very similar. Some of our content is very similar – That means you have GREAT taste. My favorite bookbags have been anything MadPax. My son has had two – Orange Spikes & the Orange Bubble. Both held up great throughout the school year. Love the PBkids Mermaid backpack – just wish they offered it sooner – because we are all mermaids! I love the Milkdot Mini Kawaii Backpacks! My daughter loves all things Kawaii. She would flip over the cute purple Kitty! Love the superhero backpacks w/capes! My little superhero would love one, too! I love the man sport lightening pack! My niece is OBSESSED with frozen! Love the backpack! And that ice cream one? So unique! I love the Milkdot Mini Kawaii! Appreciate the overall cuteness yet simple& modern design lines. Don’t tell that to my 5 year old Tallulah who has chosen the backpack w/ the Frozen-Olaf motif. (surprise.surprise) I’ll let it slide because I’m down w/ Burton’s quality for snowboard gear. The Fjallraven Kanken backpacks look like they’d work for all ages and genders. My kids would like to be able to personalize these, and they look nice enough for adults to use. The Snoopy backpack is so sweet/simple – love it! My pony obsessed daughter would adore the Rainbow Dash Backpack! Self-folding backpack because I can put it (and the contents) in my bag when my little one is tired of carrying it herself. The Peanuts backpack is so cute! The Beatrix bags are amazing, such cute prints and colors! 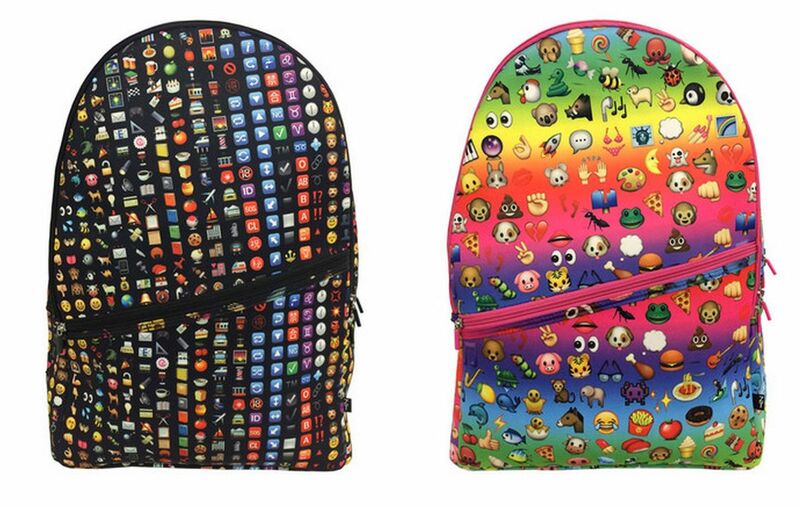 My favorites are the emoji backpacks, so cute for the kids! I’m a huge Herschel Supply Co fan! Their backpacks are very sturdy for my preschoolers! Hard to choose! My fave is the Skip*Hop Forget-Me-Not and I’m sure my son’s would be the PBK superhero cape backpack! I like the emoji backpack. Love the emoji backpacks @zaraterez !!! Love the Madpax I’ve cream cones. Might need it for myself! I have to go with the ice cream backpack! It is something new that I haven’t seen before, and it’s super creative. Love the Burton Yeah! backpack. Looks like it has good organization, and the print makes it stand out from others. The Kawai backpacks with their little closed eyes are the ones I prefer. I really like the Lightning backpack, but I know my son would pick out a Superhero cape backpack. Those ARE really cool. Nylon – so you can pack it away easily when not in use. typical backpacks take up so much space, even when virtually empty. I like the new spin on the spike backpack, ice cream cones are so cute! 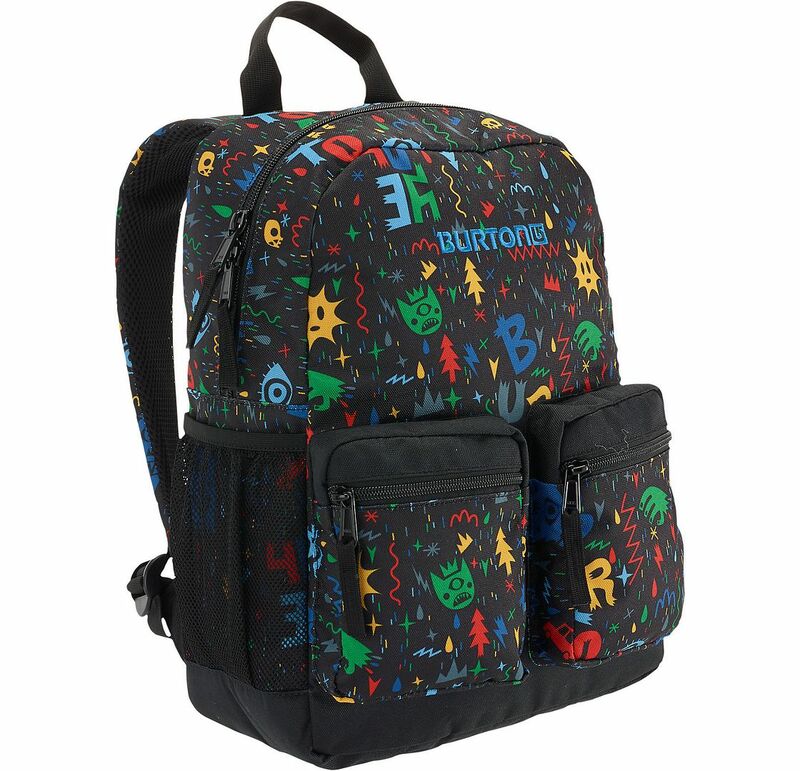 I’m loving all the Burton stuff (in the lunch box post too!) for my son, my daughter would def choose one of the cute Jansport bags. 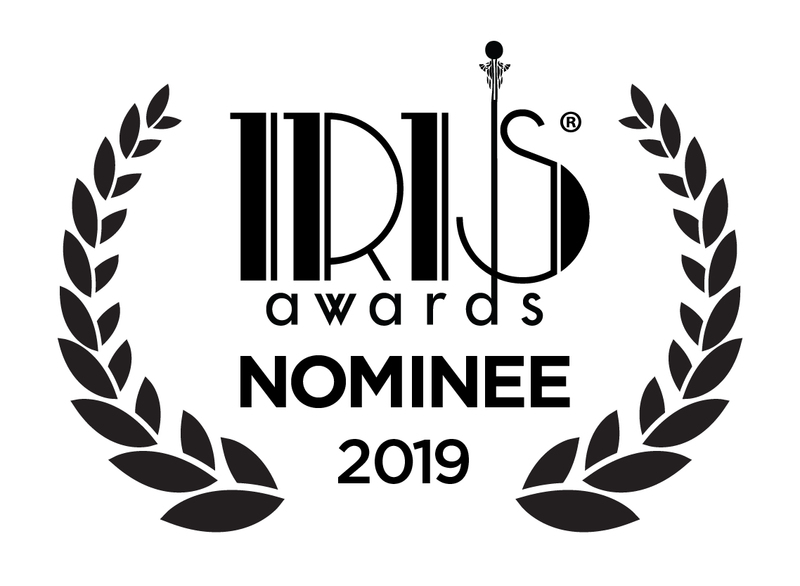 If they’d only let me pick for them it would be the Hanna Andersson SNOOPY for sure! I love the madpax ice cream backpack. What a cute and random idea! I love the Jansport lightening design that would grow with the child. I love the My Little Pony Rainbow Dash backpack! I grew up with MLP and am so glad dd gets to love it too! Ooh, it’s a toss up between the lightning pack and the Wonder Woman pack for me. Love the Skip-Hop Forget-Me-Not bags. Seems like we’re always forgetting something these days so this would be a great help! And the designs are adorable! The flip and tumble bag for sure, because it’s great for travel and school! I like the gum ball backpack! So many great choices! The Skip Hop forget me not is a stand out though, if it helps us remember my Kindergartner’s lunch box! My favorite is the pottery barn backpacks, love the different designs, being practical, matching lunch bag which can be strapped to the back pack. The emoji backpacks are my fave because that’s the way my kids and their friends communicate! I am loving the superhero/cape backpacks! love the lightning and superhero ones!! I love the custom backpack from the etsy shop! The possibilities are endless, and my kid would never mistake his backpack for someone else’s! My favorite pick on here is the Skip Hop animal zoo packs, I just love the cute animals and love that there are so many to choose from. That lightning backpack is amazing. The Hanna Andersson Peanuts backpack! I love the Skip Hop backpacks for my toddler! He has the dog design with the matching lunch box. So cute! They’re all pretty sweet, but the PBK mermaid pack would be perfect for my soon to be preschooler! these Nylon self-folding backpacks are genius! i would carry this sucker in my handbag so the kid can carry her own stuff when she gets tired of holding it (instead of handing it to me to stuff in my ginormous and super-heavy bag)! I adore the super hero cape backpacks! So fun! The Hanna Andersson Peanuts backpack has a great retro feel! I love the Gumball backpack by Madpax. My little one is rainbow and gum obsessed so it’s perfect for her (and I bet she would be the only one in kindergarten with that backpack). Wow, so many cute backpacks to choose from. The Skip Hop unicorn one is adorable, though. It’s too cute to pass up. The ice cream backpack is pretty cool! The Hanna Anderssen/Peanuts pack… takes me back to my yellow Snoopy kindergarten lunch box with matching Thermos!! I love the milk dot mini backpack so much that I either a. Want to force my toddler to have one before she has much use for it or b. Bring back the 90s by rocking a mini backpack myself! The ice cream cone pack because it made me laugh! I love the superhero cape backpacks. It would solve so many morning arguments about her wearing a cape to school. I love them all, but if i have to pick just one then it would be the Fjallraven Kanken Mini backpack!!! It is so adorable!, I love that it is mini, perfect size to carry what you need without breaking your back, and they style itself is just great! I love the Superhero cape backpacks! It would be a huge hit with my kindergartener! I like the Emoji backpack. 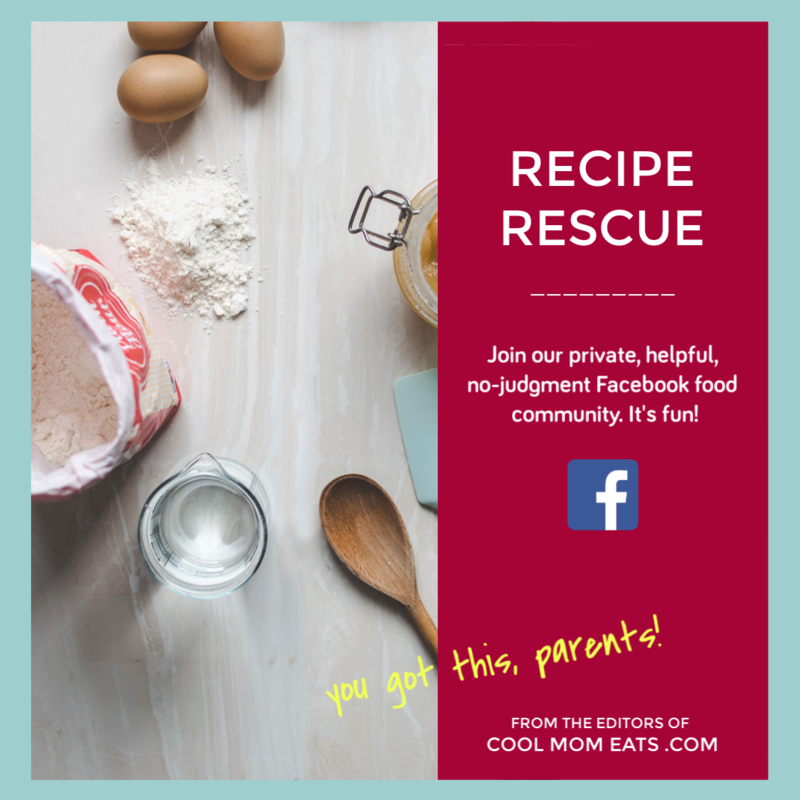 Cute and kids–they love those emojis!